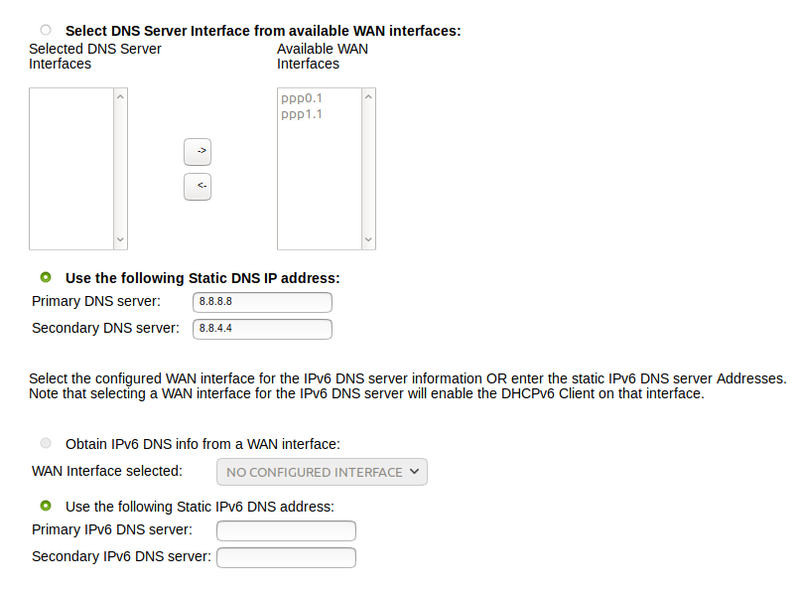 Could any router experts provide feedback on my DNS configuration? I've tried to modify using Google's DNS servers after having connection issues. ie I could only connect to major sites like Google and Apple. Everything else timed out. In particular what if anything should I use for the IPv6 addresses? Also am getting a popup warning whenever opening the settings saying I have nothing configured for my WAN interface. Not sure why since it isn't even selected. Browse other questions tagged dns or ask your own question. Why is my computer suddenly using NBNS instead of DNS? Stop Google Chrome from using Google ipv6 DNS? How do I properly configure DNS between a Modem and a Router?